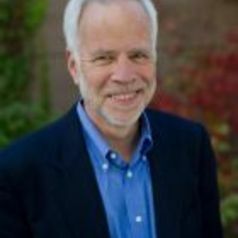 Barry Eichengreen is a professor at the University of California, Berkeley, where he has taught since 1987, and the University of Cambridge, England. His new book is entitled "Hall of Mirrors: The Great Depression, the Great Recession, and the Uses -- and Misuses -- of History" (Oxford University Press). He is a Research Associate of the National Bureau of Economic Research (Cambridge, Massachusetts) and Research Fellow of the Centre for Economic Policy Research (London, England). In 1997-98 he was Senior Policy Advisor at the International Monetary Fund. He is a fellow of the American Academy of Arts and Sciences (class of 1997). Professor Eichengreen is the convener of the Bellagio Group of academics and economic officials and chair of the Academic Advisory Committee of the Peterson Institute of International Economics. He has held Guggenheim and Fulbright Fellowships and has been a fellow of the Center for Advanced Study in the Behavioral Sciences (Palo Alto) and the Institute for Advanced Study (Berlin).